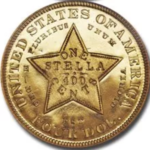 Although the United States has made ten cent pieces since 1796, only three designs ever appear with any frequency. These are the Barber dime, named after the designer Charles E. Barber, made from 1892 until 1916; the Winged Liberty or Mercury dime, made from 1916 through 1945, and the Roosevelt dime, minted from 1946 to the present. 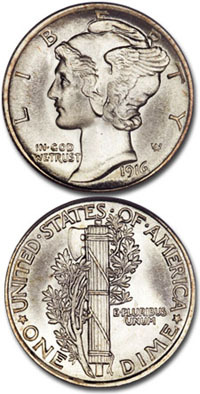 The Barber dime features a head of Liberty facing right, while the Mercury dime has a winged head of Liberty facing left. On the Barber dime the mint mark can be found on the reverse, just below the wreath. On the Mercury dime, the mint mark is on the reverse just to the right of the word “ONE.” The Roosevelt dime, which features a portrait of FDR, has mint marks in two different places. 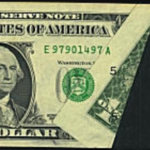 Until 1964 the mint mark was on the reverse, just above the “E” in the word “ONE.” Starting in 1968, the mint mark was moved to the front of the coin just above the date. Barber dimes are quite common in circulated condition but the average coin still brings about a 75% premium over common bullion-related silver Roosevelt dimes. 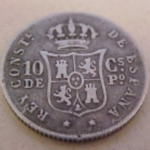 There are several rare dates in the series, among which is the 1895-O, valued at about $275 in average circulated condition, and the 1896-O, 1896-S, 1897-O, 1901-S and the 1903-S, each worth $50 or more. 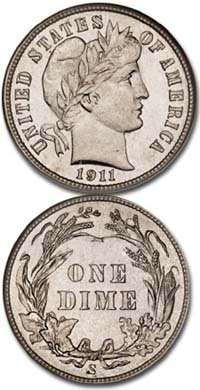 The Barber series also includes the rarest dime of them all, the legendary 1894-S, of which only 24 pieces were made. 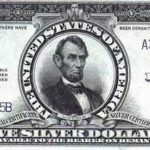 The ’94-S Barber dime has long been considered one of the “Big Three”American numismatic rarities, along with the 1913 Liberty nickel and the 1804 Draped Bust dollar. In July of 2007, an 1894-S dime graded Proof 66 by PCGS sold at auction for $1,900,000! Mercury dimes are also very common coins and are generally worth the value of the silver in the coin (.07234 troy oz). For example, at a silver price of $20.00 per ounce, they’re worth about $1.30 The Mercury series has several rare dates: The 1916-D, worth $650 in average circulated condition, the 1921 and 1921-D worth about $40 each, and the 1942 over 1, which is worth more than $400. 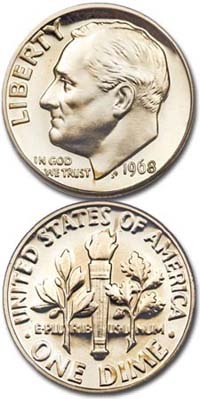 Roosevelt dimes are still in circulation, but for the most part, the coins minted before 1965 that contain silver are no longer found. These pre-1965 Roosevelts are silver related. 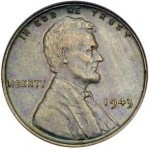 The only key dates in the series are the 1949-S and 50-S, worth about $8 in average circulated condition.